We are delighted to announce that Magic Little Grants 2019 is now live! Thanks to an award of £550,000 from Postcode Community Trust, funded by players of People’s Postcode Lottery, we are able to provide more grants than ever before. This fund gives local charities and community groups the chance to apply online for a £500 grant to deliver projects across Great Britain that encourage people to be physically active. Successful projects will support and inspire people to participate in sports or exercise with the primary aim of improving the physical health of participants. With its simple 10-minute application process, the Magic Little Grants fund reduces the work required for local organisations to access the funding they need to launch or strengthen their services. Applicants must either be in their first year of operation or have an annual income under £250,000. Preference will be given to projects that encourage social cohesion and help vulnerable people to overcome barriers to participation in physical activities. Funding can be used to launch new projects, support existing ones, or cover core costs associated with ongoing work. The deadline for applications for Magic Little Grants 2019 is midnight on 30th November 2019. 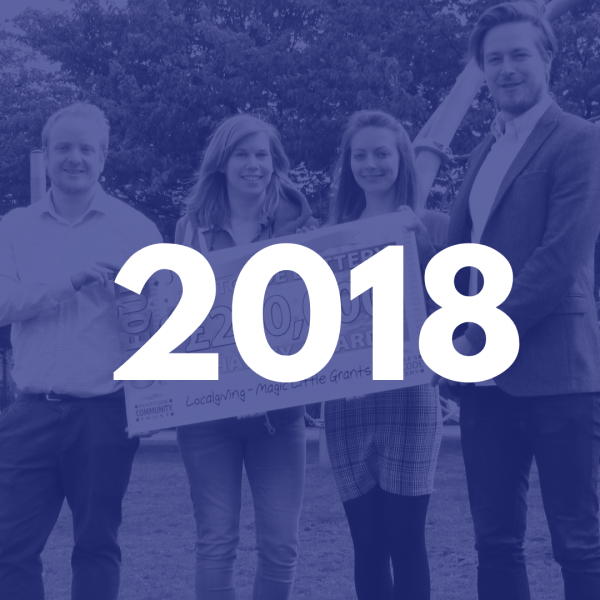 As well as receiving a Magic Little Grant, successful organisations that are new to Localgiving will also be given a free annual membership with Localgiving worth £96.This membership gives them access to all of Localgiving’s wider online fundraising services, such as regular fundraising campaigns and training. If you are already a Localgiving member, then you can complete the simple online grant application form by logging into your account. To register your group with Localgiving and apply for a grant click here. Please use the promocode MLG2019 within the membership payment section to access your free annual membership funded by the Postcode Community Trust. Income - You must have an annual income under £250,000. Physical activity projects – Your planned project must encourage people to participate in sports and exercise with the primary aim of improving the physical health and well-being of participants. Operating within Great Britain - Please note that organisations operating in Northern Ireland are not eligible to apply. 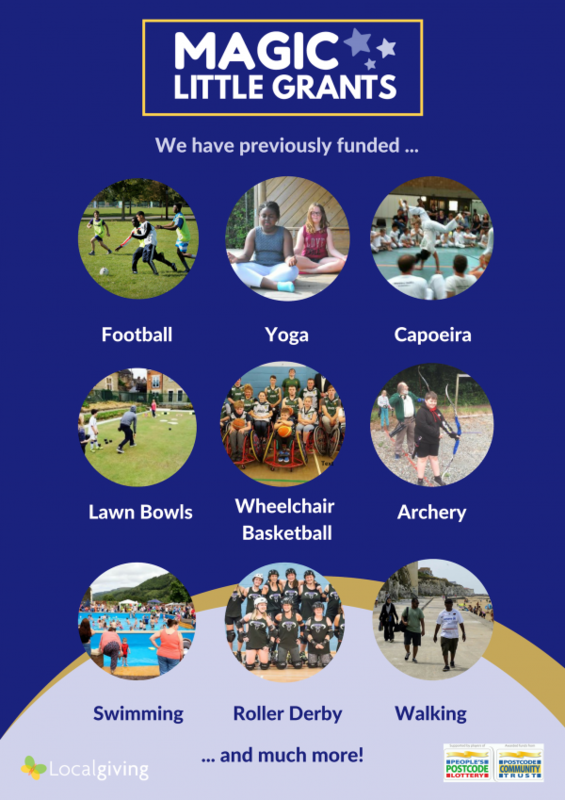 Organisations that have previously been funded by a Magic Little Grant or the players of People's Postcode Lottery and have not finished the project/activity. Organisations that have previously delivered a project funded by a Magic Little Grant or the players of People's Postcode Lottery and have not completed their monitoring/evaluation form. For further information please download our guidance notes. In 2018, £215,000 in grants was delivered to 430 small charities and community groups delivering sports or physical activities across the UK. Happy Wanderers Ambulance Organisation used their grant to provide free transport for older people and wheelchair users to access local physical activities, responded: “It is so good to have grant funding earmarked specifically for the very small charities in the community and open to requests for core funding”. 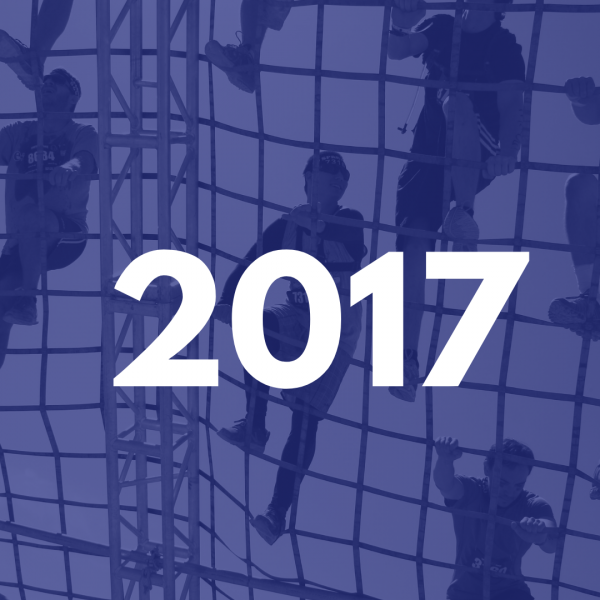 In 2017, £100,000 in grants was distributed to 205 local charities and community groups. Grants, of £250 and £500, were given to projects that seek to increase participation in exercise and healthy activities. LEGS (London Exercise Group for Stroke), who received a grant to increase access to physical activities for stroke survivors, said "We are so grateful for the funding we have received and it was such a smooth process with great communication from you at all stages."